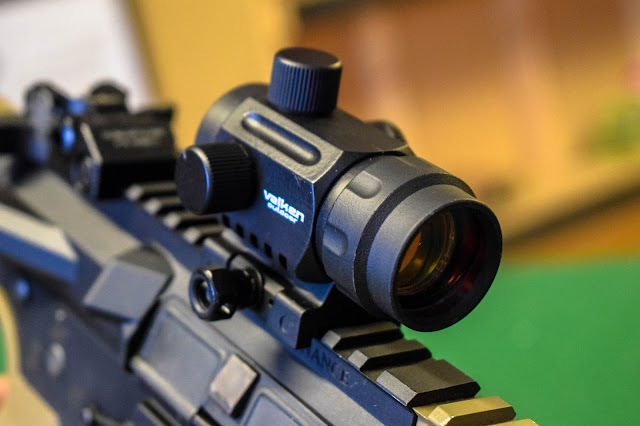 Today I’m back with another review for Valken and it is something I get a lot of requests for - A budget Red Dot Sight! 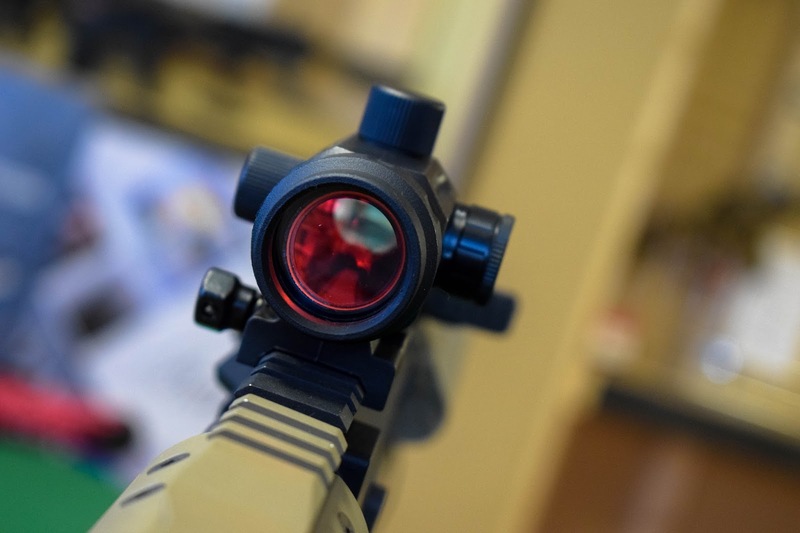 In this review, we’ll be looking at the V Tactical Mini Red Dot Sight in Black! 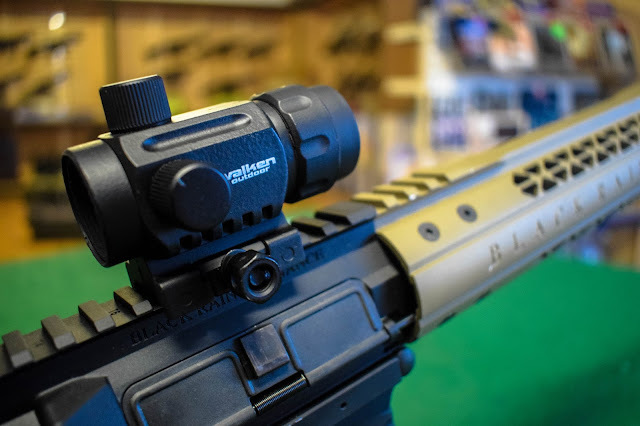 The Mini Red Dot Sight from Valken is exactly what it says, a compact red dot sight that features a fibre reinforced moulded polymer body, that isn’t just strong but also lightweight. 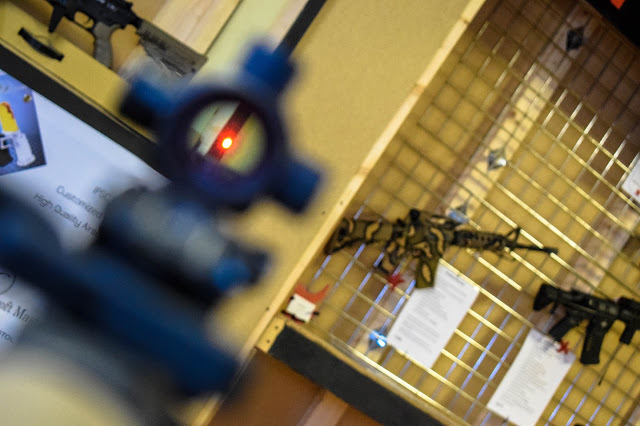 As for the reticle, it has a really bright and visible CQB (circle plus centre dot) reticle which is perfect for use under both strong direct sunlight and in low light conditions thanks to its intensity settings which span 5 levels. It also has an integral Picatinny mount so it is easy to mount to any weapon system with a 20mm Picatinny rail. It’s also really diddy, with its overall length measuring in at just 3.10" which means it’s a great option for smaller and compact weapon systems such as SMGs and PDWs but doesn’t look out of place on a full-size AR build. I tested the Mini RDS on a Tokyo Marui MP7 GBB for a game of intense CQB, and it was easy to zero in and the reticle was easy to see even in the areas of the site that are in bright sunlight. I liked how low profile the sight was, and aesthetically it looked great on the weapon. The only thing I was a little bit worried about was it getting shot out, but it wasn’t hit during the game day – I would however like to see in the future how it holds up to being hit. Unfortunately, the sites we were playing that weekend were so intense and close I wasn’t able to get any in-game photos of the sight in use so the photos are of the sight on a full-size AR15. It runs on a standard CR1620 battery which is widely available from high street stores and supermarkets quite cheaply. I really like the finish on the sight – the flat black finish looks really smart but also makes it look hardy and sturdy. How are we looking on price? The price point of this RDS is actually fantastic, it retails for just $27.95 (which works out at £21.00 at the current exchange rate!) It is available in black and tan from the Valken website here. Honestly? 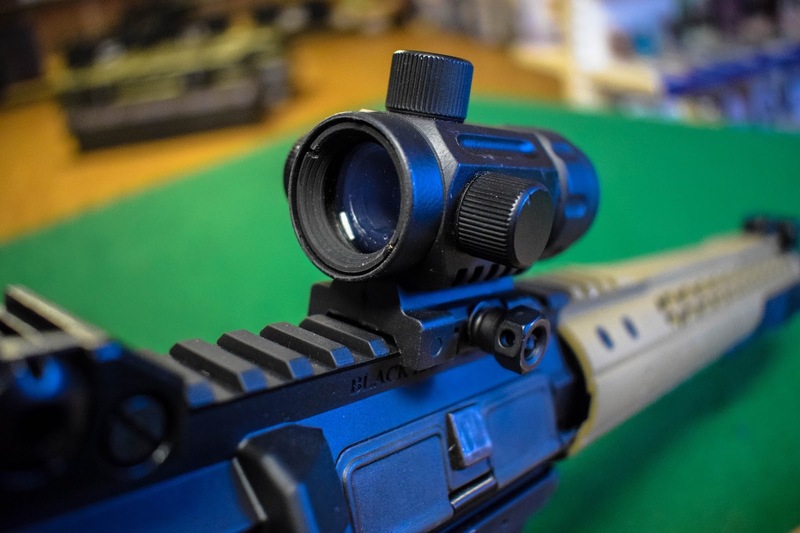 For the price I am really impressed with this RDS – it’s easy to mount and zero into your rifle, clear sight picture, and a bright reticle, what more could you want from a budget red dot? As it is an airsoft sight rather than a real steel sight I would recommend especially if like me you play a fair bit of CQB, to get a killflash for it, or a simple piece of Perspex to protect the lens, although it’s cheap enough to replace if it gets shot out – a sight getting shot out is hella annoying!